The Reluctant Dragon is an 1898 children's story by Kenneth Grahame (originally published as a chapter in his book Dream Days), which served as the key element to the 1941 feature film with the same name from Walt Disney Productions. The story has also been set to music as a children's operetta by John Rutter, with words by David Grant. The story takes place in the Berkshire Downs in Oxfordshire (where the author lived and where, according to legend, St George did fight a dragon). 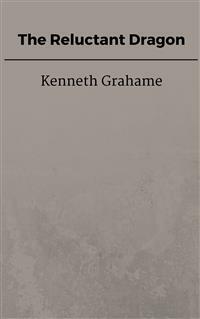 It is Grahame's most famous short story. It is arguably much more well-known than Dream Days itself or the related The Golden Age. It can be seen as a prototype to most modern stories in which the dragon is a sympathetic character rather than a threat.In Grahame's story, a young boy discovers an erudite, mushroom-loving dragon living in the Downs above his home. The two become friends, but soon afterwards the dragon is discovered by the townsfolk, who send for St George to rid them of it.